There have been a lot of flagship launches this year and none of them have disappointed us. After months of leaks and speculation, OnePlus has finally launched its flagship device, the OnePlus 3. The device comes with a new metal unibody design. 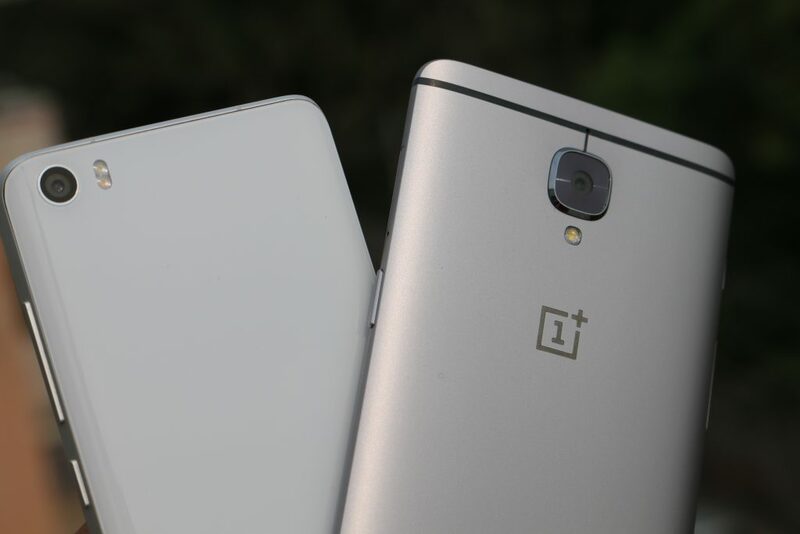 The flagship OnePlus 3 has been priced at 27,999 and competes with the likes of Xiaomi Mi5. Xiaomi’s flagship device, Mi 5 has been priced at Rs. 24,999. We compared both of the devices to help you decide which device is best for you. 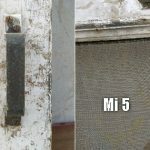 Coming to the Xiaomi Mi 5, it comes with a metal frame and a glass back. 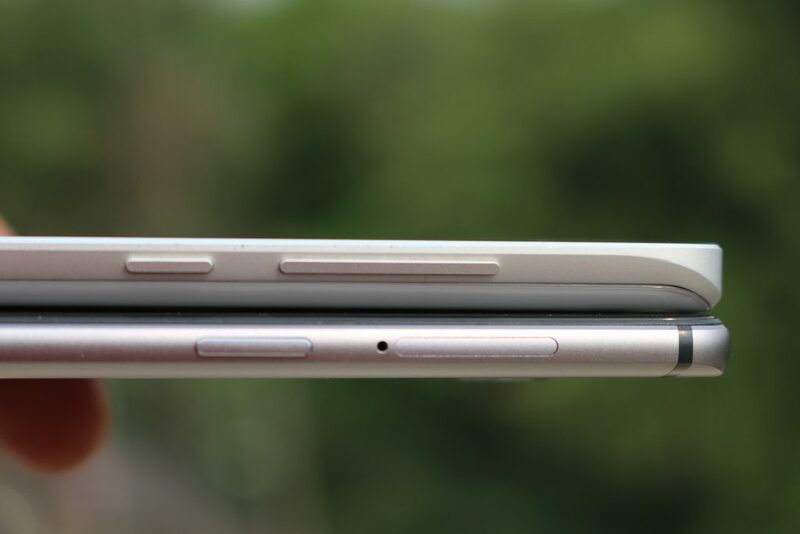 It is 7.3 mm thick and weighs just 129 grams. 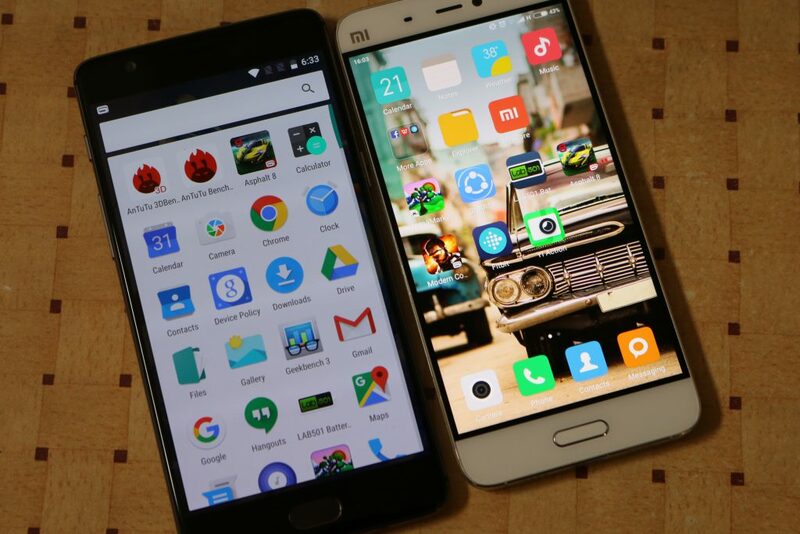 The Xiaomi Mi 5 is lighter due to a smaller display and as it comes with a glass rear panel. 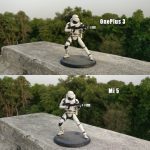 As far as build and design are concerned, it is an extremely close race between the OnePlus 3 and the Xiaomi Mi 5. 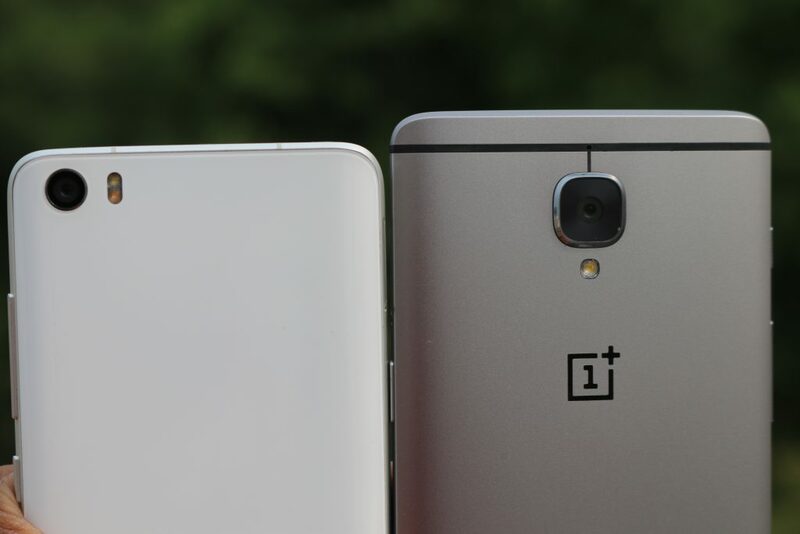 They both look extremely good, but we find the OnePlus 3 to be better to hold. 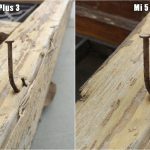 Both the phones are slippery, but the Mi 5’s glass back makes it more prone to damage than the OnePlus 3. The OnePlus 3 comes with a 5.5 inch Optic AMOLED display with full HD (1920x1080p) resolution. The display is rich, has good brightness levels and feels subtle to eyes. 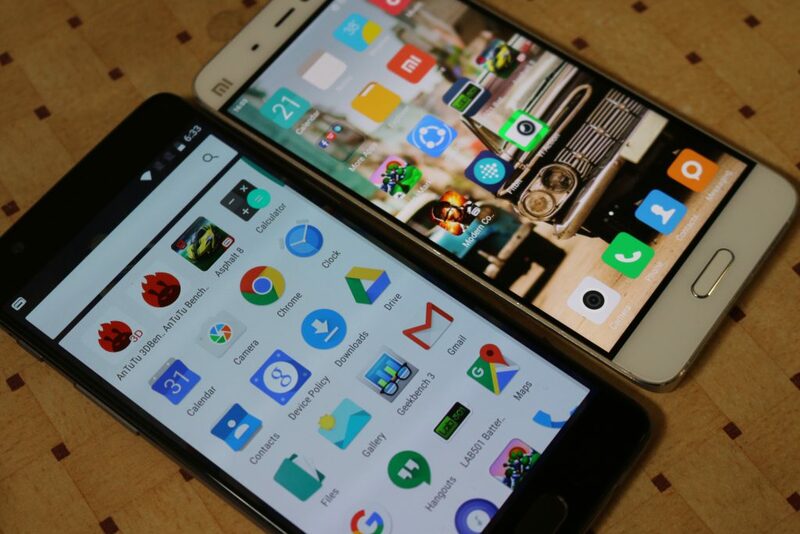 The Xiaomi Mi 5 comes with a smaller, 5.2 inch IPS display with full HD (1920x1080p) resolution. 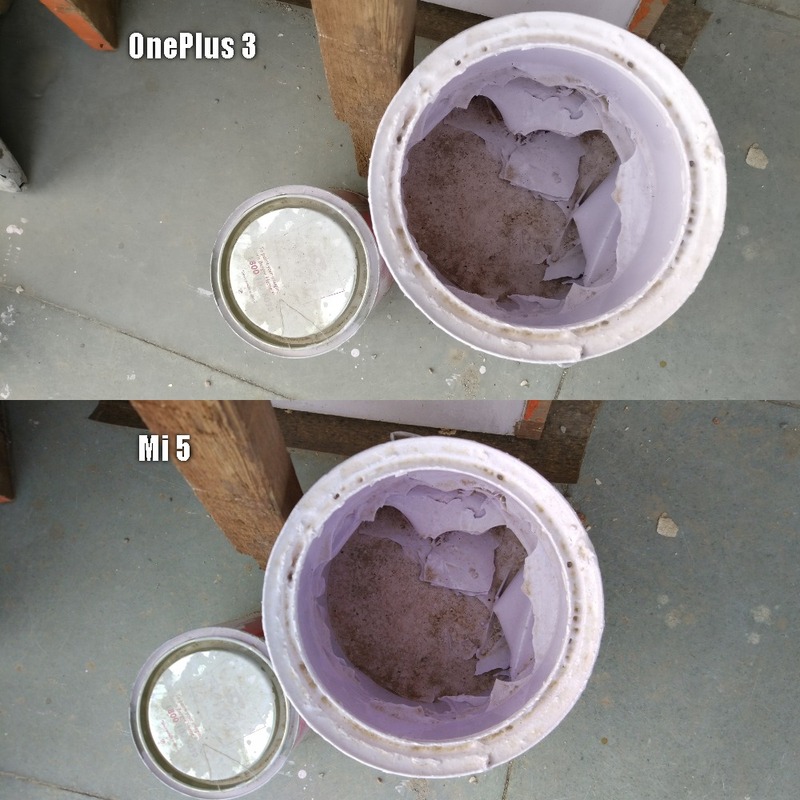 Both the phones come with the same screen resolution, but the OnePlus 3’s display is slightly bigger than the Mi 5’s. 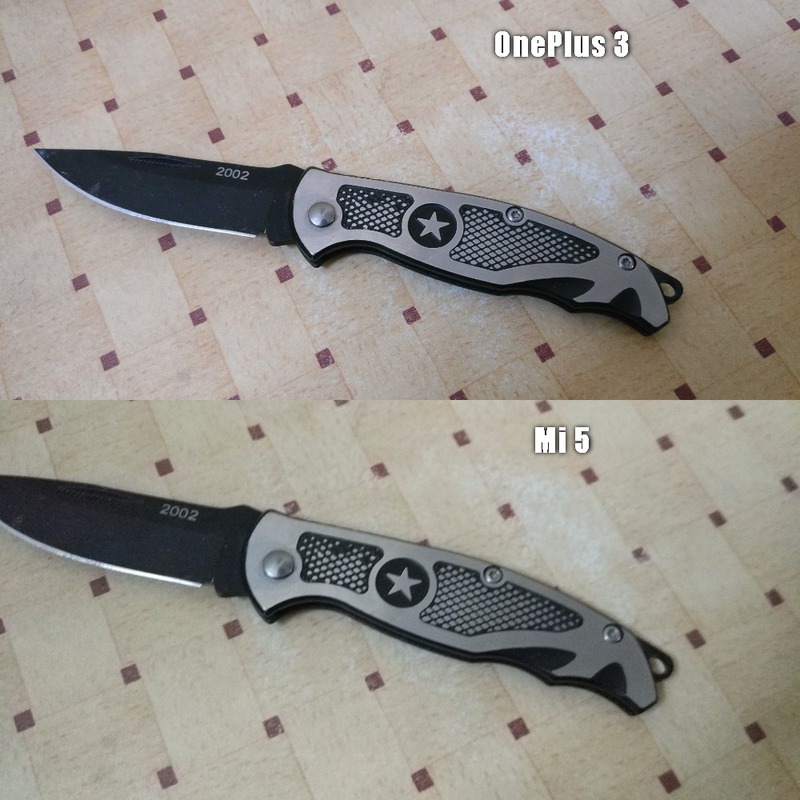 While the difference is not big, the OnePlus 3 could be a little more uncomfortable to hold than the Mi 5. 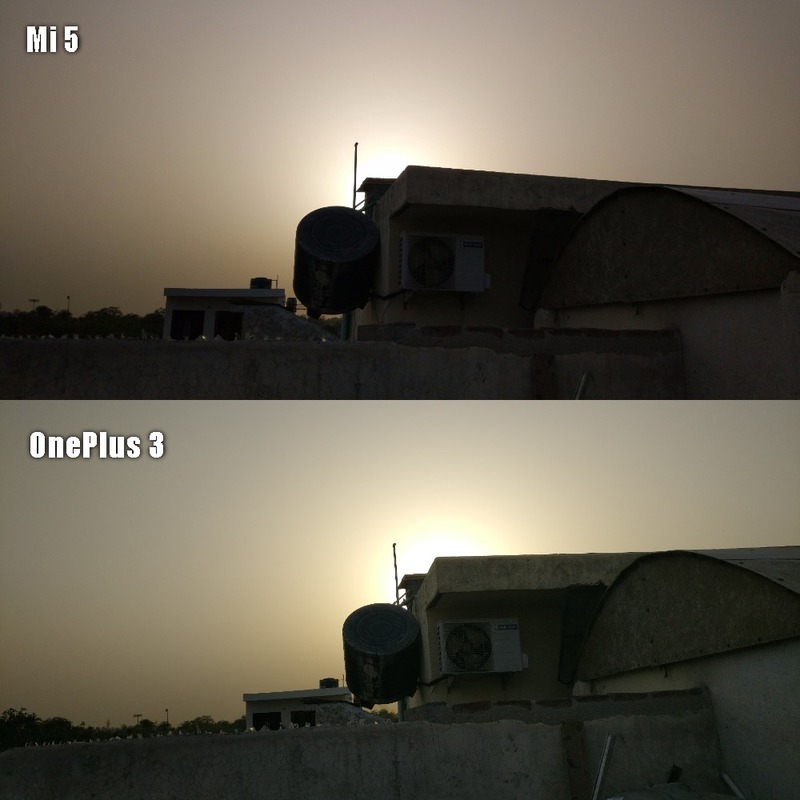 In terms of color reproduction and brightness, both the phones are very good. However, the true blacks of the AMOLED panel tip the scales in favour of the OnePlus 3 here, as size is not a constraint for me. Both the flagship devices are powered by Qualcomm’s latest Snapdragon 820 processor. 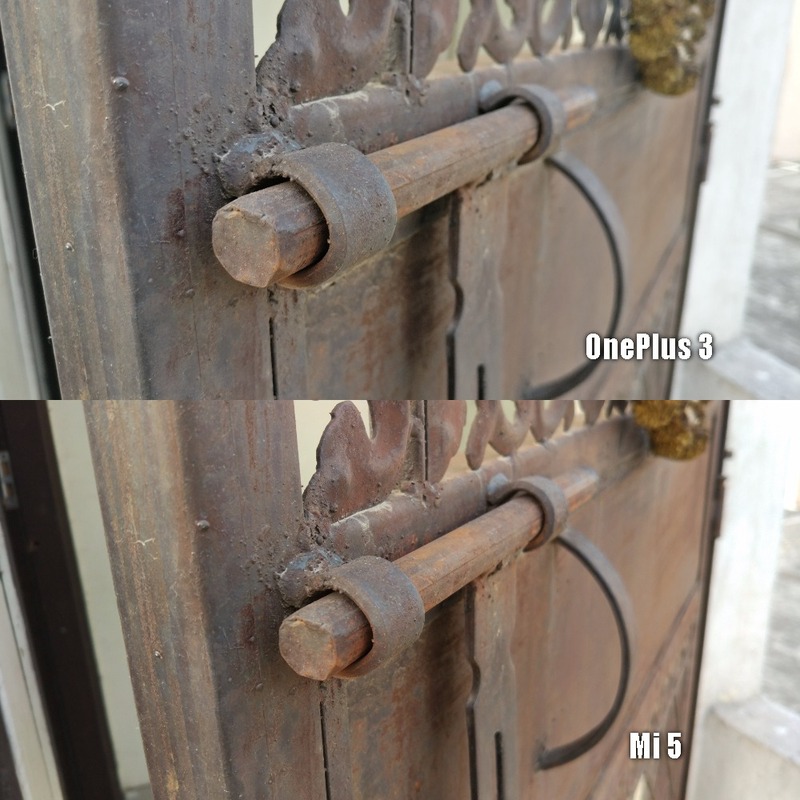 The OnePlus 3 comes with 6 GB of RAM while the Mi 5 comes with only 3 GB of RAM. The OnePlus 3 is the obvious winner in terms of RAM. Coming to internal storage, the OnePlus 3 comes with 64 GB of internal storage and the Mi 5 again is behind with only 32 GB of internal storage. Additionally, the OnePlus 3 comes with UFS 2.0 storage which is much faster than the standard eMMC storage in the Xiaomi Mi 5. Neither of the devices support microSD expansion. 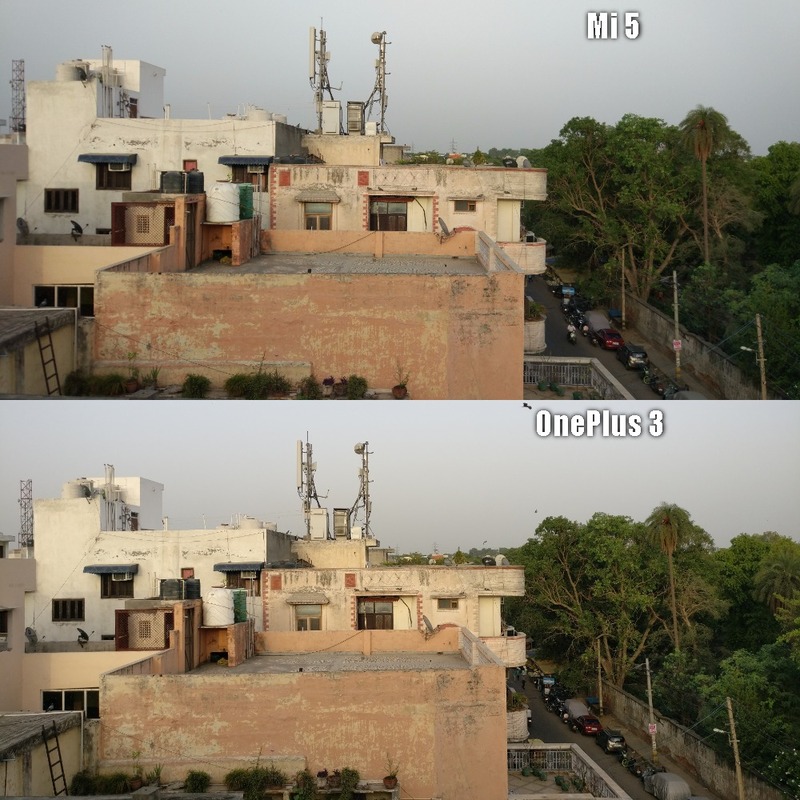 OnePlus 3 comes with a 16 MP primary camera with f/2.0 aperture, PDAF, 1/2.8″ Sony IMX 298 Sensor. 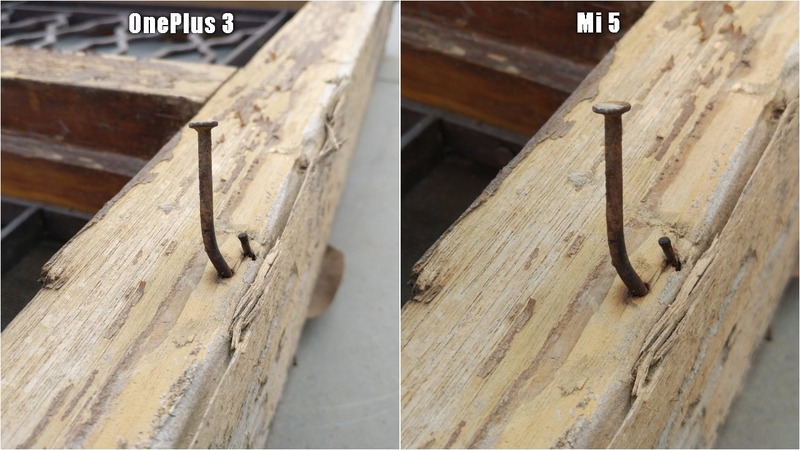 The Mi 5 also comes with a 16 MP primary camera with f/2.0 aperture, PDAF, 1/2.8″ Sony IMX 298 Sensor. 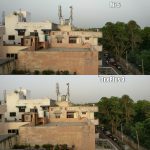 Both the devices feature the same primary camera. 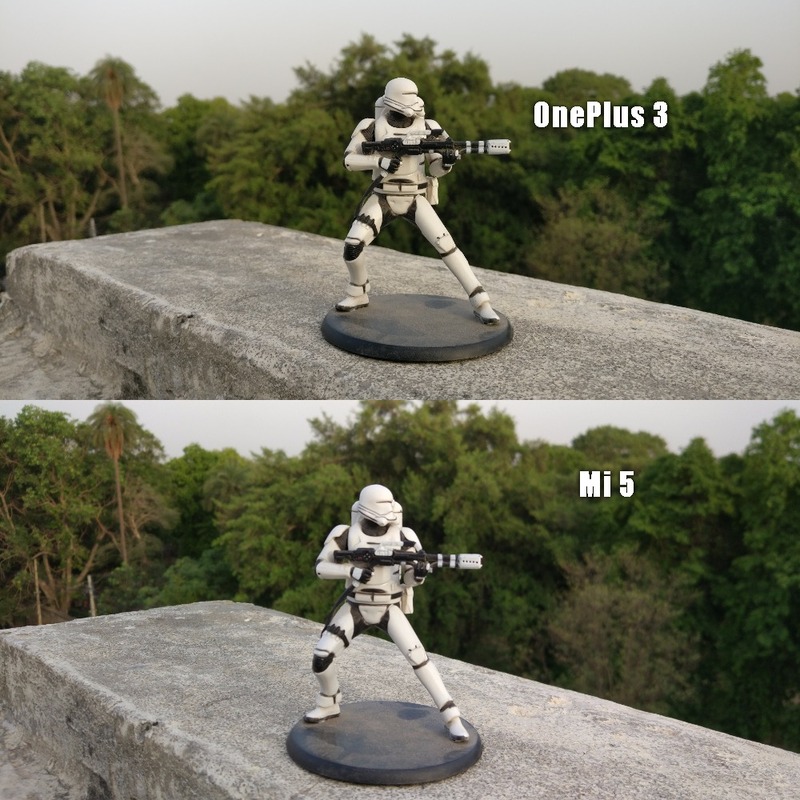 On the front, the OnePlus 3 comes with an 8 MP secondary camera with 1.4-micron pixels and the Mi 5 comes with a 4 MP sensor with 2-micron pixels. The OnePlus 3 is slightly better in terms of secondary camera. 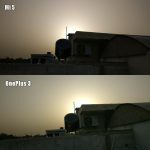 In comparison, I found both the cameras very charming when it comes to day light performance. With the help of stable and smooth camera UI, it becomes easier to capture great shots but when it comes to details and clarity, the OnePlus 3 is a little ahead. Although none of them are good enough to be called as a good low light camera. For more details, you can refer the image gallery below. Continuing the trend of similar specs, both the OnePlus 3 and Xiaomi Mi 5 come with a 3,000 mAh battery. While the OnePlus 3 comes with Dash Charge 2.0 while the Mi 5 comes with Quick Charge 3.0. 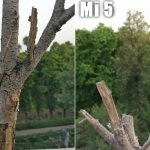 Mi 5 is the winner here with Qualcomm’s tried and tested technology. The OnePlus 3 comes with a power-efficient Amoled screen while the Mi 5 comes with an underclocked processor. 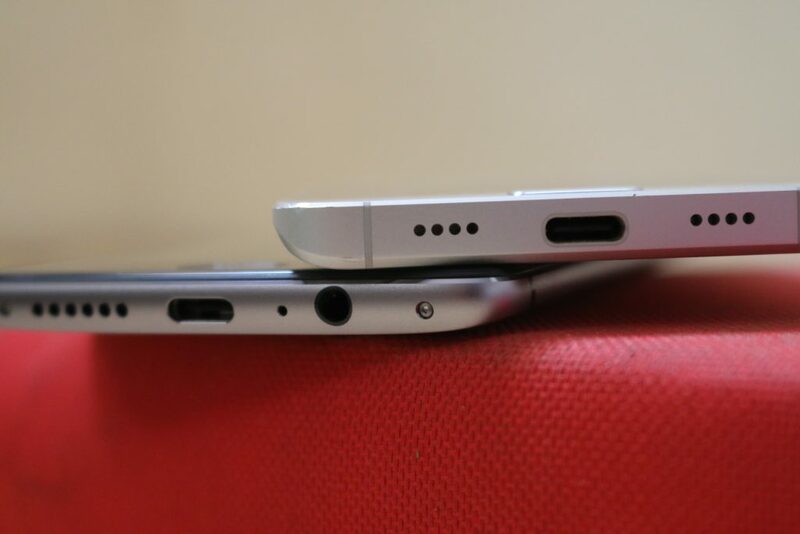 The contest between the two devices in terms of battery end with a tie. The OnePlus 3 has been priced at Rs. 27,999. OnePlus has ditched its invite-only strategy and the device is available on Amazon India. The Xiaomi Mi 5 has been priced at Rs. 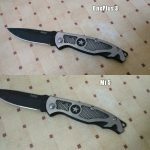 24,999 and the device can be purchased from Amazon India and Mi.com. 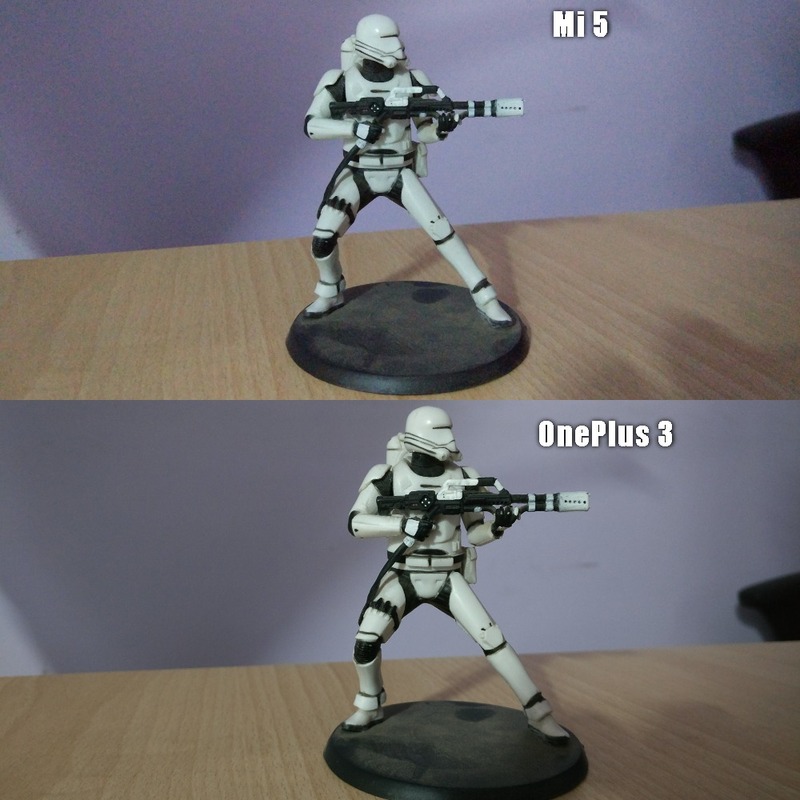 The OnePlus 3 vs Xiaomi Mi 5 battle is an extremely interesting one. 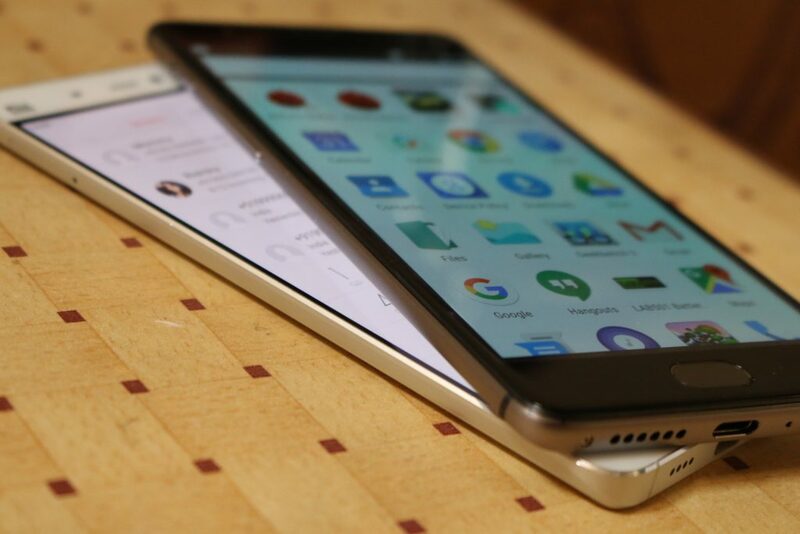 Both the phones are extremely close in terms of specs. In terms of real world performance, there is not much of a difference either, especially in the high end. With phones these days featuring specs that are powerful enough even in the mid-range, you should have virtually no complaints from either of the two phones. 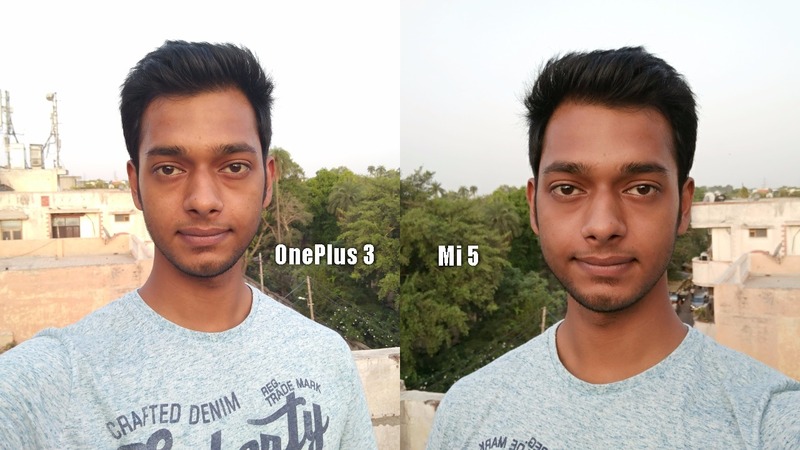 However, in our overall testing and reviews, we found the OnePlus 3 to be better than the Xiaomi Mi 5. 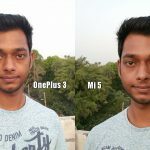 The core differences between the two phones are the cameras, the display size, display tech (AMOLED vs IPS), 6 GB RAM vs 3 GB and the internal storage type – UFS 2.0 in the OnePlus 3 vs standard eMMC flash in the Xiaomi Mi 5. While these may sound fairly trivial, the sum of these parts is greater than the price difference between the two phones. In simpler words, the OnePlus 3 is a much better deal at a price of Rs. 27,999 compared to the Xiaomi Mi 5 at Rs. 24,999.